Because today's racing engines run at higher and higher rpm levels and the cam profiles are extremely harsh, the tip of the valve stem is subjected to a tremendous amount of pounding. These engines always run just on the brink of valve float. This is one of the most severe conditions that exist. The best solution to this problem is the Comp Cams Lash Cap. 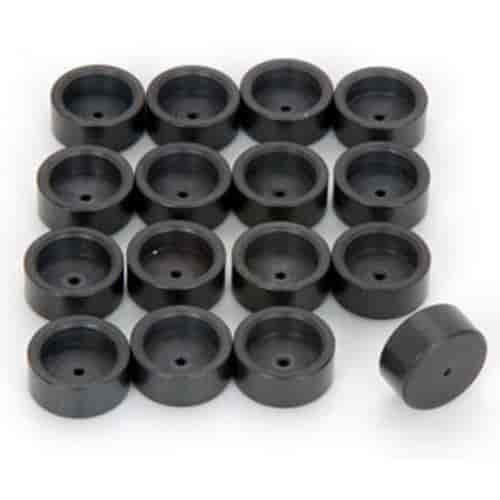 These lash caps are precision machined and ground perfectly flat to maintain accuracy of valve train adjustment.They fit the valve stems well and can be removed with relative ease because of a tiny hole to relieve the suction created when removing the lash cap. The Chrysler "Hemi" engine has benefitted greatly from this design. A special version is available to accommodate the very short tip on these valves. For the ultimate in strength and reliability, you will not find a better part than the Comp Cams Lash Cap. A must for titanium valves. Does COMP Cams 622-16 fit your vehicle?